How Much Upholstery Fabric Do I Need? Check list! Fortunately, finding the right amount of fabric to reupholster your couch doesn’t need to be a difficult task. Allow us to explain. Below, we answer some of the most commonly asked questions regarding the upholstery process, and the fabric you will require. If you are selecting your fabric via an upholstery repairs company, finding the right amount of fabric is as simple as sending through a picture of the couch (or other furniture pieces you are restoring) and leaving the rest to the professionals! After you select your fabric, they will be able to look at the size of your couch and determine the amount of material required to complete the restoration. If you decide to source the fabric yourself, you will need to take some measurements of your couch, and refer to a guide to give you an estimate on the amount of fabric you will require. The amount of fabric necessary for a couch or chair varies considerably, based on the size and style. Some fabric stores may have a fabric upholstery chart to give you an estimate of the amount of material you will need – but remember this will still only be a rough guide. In addition to the sizing chart, you also need to allow for the varying widths of fabric. While most fabrics come in a standard width, there are different types of fabric and prints that are wider (or narrower) than usual and will affect the amount of fabric you require. Estimating the right amount of fabric can be tricky for those not experienced in upholstery restorations. If you are unfamiliar with the process of measuring and upholstering furniture, be aware that you will need to leave room for error in your estimates. Too little fabric could be disastrous and leave you with an unfinished job. Likewise, too much fabric will just be a waste of money. What are the benefits of reupholstering my couch? Whether you have an older couch you just can’t bear to part with, a damaged couch that is part of an otherwise intact set, or you have a sentimental reason for holding on to it, reupholstering is a great way to upcycle your furniture! In an age of throwing things away every time they break, more and more people are realising the benefits of reupholstering furniture. Beneath that sad looking exterior, a diamond in the rough may be lurking. Add some new fabric and hello – a brand new looking piece of furniture, restored to its former glory! The best part? You get to choose the fabric. Why go for a generic piece found in chain stores (and thousands of homes) when you could choose a design that is entirely your own? Style your home with your own personal touch by selecting a fabric handpicked by you. When it comes to selecting your fabric, you have the option to source it yourself, or you can go through the upholstery restoration company you have hired to restore your couch. They have a large variety of colours and styles to select from. Durability – Couches and other lounge furniture are subjected to daily wear and tear. A hardwearing material such as leather or suede is recommended for durability. Alternatively, a cotton blend could be used. Natural vs synthetic – A natural fibre is more vulnerable to fading from UV rays than its synthetic counterpart. If you choose to pick a fabric made from natural fibres, keep it out of direct sunlight to minimise fading. Lifestyle – If you have pets or young children, it is best to avoid delicate fabrics altogether, and opt for a more durable leather. If anyone in the house suffers from allergies, microfiber is a popular option due to its anti-dust collecting properties. Choose a fabric based on practicality as well as style. Put it this way – there is no point having a beautiful printed couch if it’s going to be clawed into an unsightly mess by your pooch in five minutes flat! Decide whether you are going to buy your fabric on your own, or select it through the upholstery restoration company. If you decide to do it with the professionals, simply choose your fabric and send them a picture of your couch. They will order the right amount accordingly. If you go through a fabric store, take a picture and some measurements of your couch with you, and ask to see their in-store sizing guide. Online stores should have this option also. Allow room for error. Judging the exact amount of fabric you need is difficult to the untrained eye. Consider the width of your fabric and whether you need to allow for extra. Couches require a durable fabric for a lasting result. Neutral colours can tie in with changing decors and are popular for block pieces of furniture. Decide whether to search for natural or synthetic fabric. Make sure the fabric is suitable to your lifestyle and how often the couch will be used. 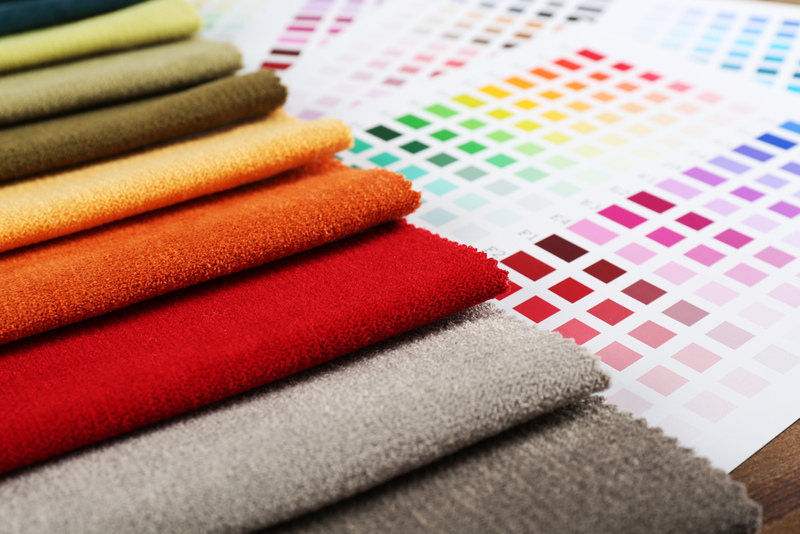 At Lounge Repair Guys, ‘how much upholstery fabric do I need?’ is a question we are frequently asked. Allow us to take the guess work and difficulty away by assisting you with your fabric selection. We have a wide choice of fabrics available for you to select from. Create the customised piece of furniture you are envisioning! For a FREE QUOTE on reupholstering your couch, contact our friendly team on 0405 252 657 or 07 5537 9873 today! Are you asking yourself – how much upholstery fabric do I need? Contact the experts at Lounge Repair Guys for help and advice today!